Ships Today if ordered within 0 hrs and 46 min. Math tools include: 30/60/90 triangle ruler, 45/90 triangle ruler, 180 protractor. 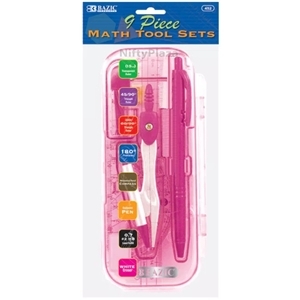 9 Piece Math Tool Sets. Math tool sets is placed in a sturdy storage case.